Man, it kills me that I didn't get Frankie: my slackjaw just has a head with an ax in it, and I love that tommy gun. Awesome, glad my pic made it as the P.O.D. Thanks for the comments. 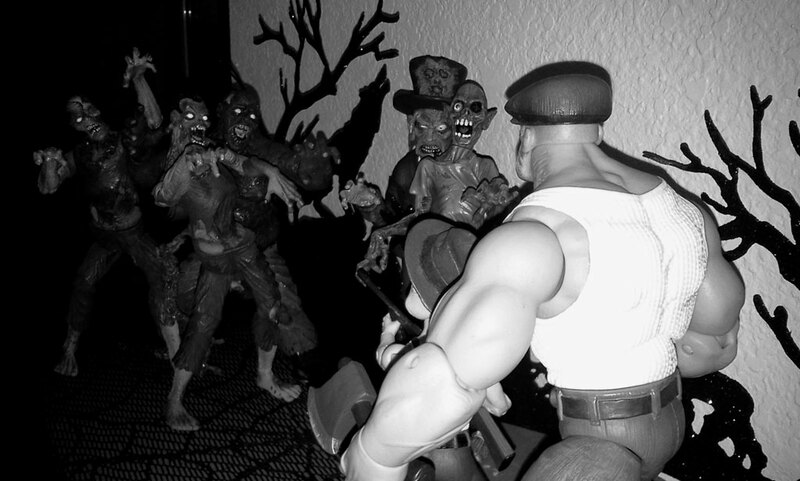 For those wondering the 3 zombies at the left are from Mezco’s Attack of the Living Dead toyline. The fit pretty great with the Goon figures scale-wise. Unfortunately, as bummed out as I am to say it, the recently released Walking Dead don’t.